Learn about NeTLIMS complete solution of Laboratory Information Management Systems, Mobile Apps, and Point-of-Care Telehealth Solutions, and how they Enhance Patient Outcomes, Compliance with MACRA/MIPS, and Positively Impact Revenue: A Guide to LabWay & LabOS. What Is the MIPS Reimbursement Track? How Do MACRA / MIPS Impact Medical Laboratories’ Revenue? How Do Digital Therapeutics Benefit Medical Laboratories? The shift from a traditional fee-for-service model to value-based healthcare requires a completely new approach for clinical laboratories to help clients improve their quality of care, enhance their workflow processes, and maintain viable revenue streams. It is absolutely critical that hospital, commercial, and outreach laboratories partner with a company that has the proven competence to help them thrive in this new environment. The NeTLIMS Laboratory Information Management System (LIMS), mobile apps, and point-of-care remote patient monitoring offers a complete solution that enhances patient outcomes, compliance with MACRA / MIPS, and positively impacts revenue. The NETLIMS LabOS platform streamlines all laboratory departments and point-of-care diagnostic data, gathered via innovative next generation technologies, to lower readmission rates for patients and increase reimbursements for labs, physicians, and hospitals. Statistics show that more than 60% of all senior citizens have two or more chronic care conditions. On top of this, patients are living longer as life expectancy continues to increase. Combined with an ever-aging and growing population placing an increased burden on healthcare systems, efficiency and value will continue to be increasingly critical components to both successful businesses and successful healthcare outcomes. Without optimizing these metrics, the cost of healthcare in America will continue to climb. Previous fee-for-service payment systems were based on the volume of services provided. Ordering more tests meant more revenue. They offered little incentive for service providers to optimize the value of tests. And yet, more tests do not inherently mean improvement in patient health or outcomes. Left unchecked, this cycle feeds into self-increasing costs, increasing workloads, and failing the very patients who trust the healthcare system to provide results. To reverse this trend, the federal government stepped in and created sweeping reforms, including the Medicare Access and CHIP Reauthorization Act of 2015 (MACRA), marking a transition into the era of value-based care. With value-based care, Medicare calculates reimbursements and incentives based on data and metrics surrounding the overall health of patient populations or on individual episodes of care for a given patient rather than on the quantity of tests or services provided. Medicare believes that by linking payments to data surrounding patient outcomes and other measurable objectives, healthcare providers are held accountable for the services they perform and a true assessment of improvement is possible. As more evidence shows that value-based care improves provider performance and patient outcomes, this push will continue to gain momentum. By taking a patient-centric approach to healthcare, providers can help build strong provider-patient relationships and drive improved health trends. As one of the major forces driving the shift from traditional fee-for-service reimbursement, MACRA leads the charge to a system built around value-based care. It replaces the original 1997 Sustainable Growth Rate (SGR) formula from Medicare. The new formula, called the Quality Payment Program (QPP), was a welcome change within the medical community. The Centers for Medicare and Medicaid Services (CMS) released their Final Rule for QPP Year Two in early November 2017. Slated to take effect for 2018, the latest changes aim to help further reduce the regulatory burden of the reimbursement track and make participation for smaller or rural practices easier. Each category is weighed and contributes to an annual MIPS Composite Performance Score (CPS) of up to 100 points. Scores earned in 2017 impact Medicare Part B revenue in 2019. However, the QPP Final Ruling provides flexibility to help with the transition. In contrast, Advanced APMs offer a 5% incentive in 2019 for participation in 2017 if a clinician receives 25% of Medicare Part B payments or sees 20% of Medicare patients through an Advanced APM. Whether you are using the MIPS reimbursement track or Advanced APMs, adhering to MACRA requirements will remain key to optimizing laboratory revenue in an increasingly competitive market, especially as margins shrink on common tests and services. This is why the performance capability of your LIS is so critical to your practice’s ability to participate in these new value-based quality payment programs. Point-of-care diagnostics make it easier than ever to run tests and gather information in a range of settings – from hospital bedsides to in-home visits, which once required the lengthy process of taking samples and sending them to a central lab. Automation enables laboratories to scale operations and conduct tests at volumes previously not possible. Yet, these technologies do little to help manage the ever-increasing flow of data emerging in both near-patient and laboratory environments. Innovative approaches such as placing an LIS at the point-of-care are filling the gap between generating data and collecting it for use in both laboratory and care environments as quickly as possible. These powerful technologies help create a system in which patients engage in their own care, providers have a clear view of how to proceed and drive results, and healthcare systems large and small glean improvements, reduce delays, drive profits, and improve the overall quality of care in one of the most expensive healthcare systems in the world. To help maintain compliance with Medicare’s MACRA / MIPS payment programs, many labs are turning to a LIS such as the NeTLIMS LabOS system, which helps streamline the collection of information in both the lab and care environments. LabOS offers a unique and complete solution that integrates all of your laboratory departments including Clinical Pathology, Microbiology, Anatomic Pathology, and Genetics into a single database. A comprehensive product suite based on a single set of catalogs and rules, LabOS drives the entire process from result review and order entry at the clinic, through the lab’s internal processes and client services, all the way back to result delivery and billing. As a patient-centric system, LabOS is well-suited to address the specific requirements of value-based care. As a cloud-based system, it provides access to scheduled reports, dashboards, and system alerts virtually anywhere, while also supporting a wide range of automated processes. Better still, the ability to use either a private or public cloud enables the system to scale seamlessly for service providers of any size! This significantly reduces the infrastructure and IT requirements for laboratories and other healthcare service providers that wish to excel under the latest MACRA QPP and MIPS CPS rules. Integrating the various departments of a laboratory or practice into a single system provides complete oversight and assistance with the entire process of testing and data gathering – from order entry to billing. More so, the ability to increase efficiency through automation and greater access to information, and the ability to drive decision-making processes for improved patient outcomes, correlates directly with the goals of MACRA’s QPP. This will ultimately result in more revenue for labs. NeTLIMS LabWay is a patient-centric mobile app that supports patients and healthcare service providers through its integration with LabOS and its ability to work with 3rd-party mobile telehealth technologies, such as Care Trek and the V-Patch point-of-care diagnostic device. Missed doctors’ appointments account for $50 million in costs in the U.S. annually. Technologies such as LabWay work directly to address this problem, reducing waste, reducing costs, and improving the health of patients. One example of this is the potential to improve phlebotomy workflows and increase patient compliance for laboratory testing. With LabWay access, a phlebotomist can travel to the patient instead of requiring the patient to sit in a waiting room. This reduces stress and anxiety for the patient and improves access to lab services, while eliminating worries about transportation or scheduling. To help bring healthcare to rural areas, Medicare is paying for more telehealth services and making it easier for providers to bill for those services. Improving access to telehealth services is part of CMS’ ongoing efforts to modernize Medicare payments and promote patient-centered innovations. Of course, any information system is only useful if it is easy to integrate into existing workflows and simple to use. For example, LabWay supports phlebotomists by enabling them to document clinic visits, perform collections, pick up shipments, and view any logged route histories. The mobile app even helps plan routes and recommends the optimal type and quantity of tubes needed for a given draw. This reduces costs, improves efficiency, and reduces burdens on laboratory and field staff. Thus, labs can better manage workflows while improving both output and accuracy. Quality – a major component contributing 60% of the overall performance score improves through faster, more informed decision making. Improvement Activities – a component worth 15% of a clinician’s overall performance score improves as specialized point-of-care and near-care platforms, such as LabWay, meet the requirements of telemedicine and expand practice access. Cost Scoring improves through the increased ability to automate, resulting in less time spent analyzing and reporting data, and improving data communications across departments and service providers optimizing costs and streamlining operations. Indirectly, these services also work to address Advancing Care Information by supporting the data generation and gathering process often fed into EHR systems, patient portals, and other healthcare data storage and communications platforms. Since the LabOS LIS and LabWay mobile app communicate seamlessly, laboratories, clinics, and solo practitioners benefit from the reduced burden of keeping up with regulatory documentation and from less worry about meeting CMS audit requirements. The LabWay app stores recorded data. And the data retention and telemedicine aspects of LabWay can add as much as 20 points to a clinician’s MIPS CPS depending on the size of the practice or virtual group. When choosing quality measure, service providers can simply look at each measure’s specification. If it doesn’t prohibit using telehealth specifications, the LabWay app is likely to allow submission for MIPS scoring. Of course, in all cases, consulting the standing rules and requirements is the best way to ensure that a clinic, laboratory, or other healthcare service provider honors MACRA and QPP system regulations to their fullest. All information collected in LabWay or LabOS integrates seamlessly with the other platform. Two-way communication ensures both laboratories and workers in the field have instant access to the most updated, comprehensive information available. These are important because they serve as great opportunities to improve an organization’s performance across virtually every MACRA domain leading to higher compliance and higher revenue in the end. NeTLIMS defines the way technology assists in maintaining a patient’s overall health and happiness. For 20 years they have developed and implemented Laboratory Information Systems (LIS) for clinical laboratories. As a leading global provider of LIS systems, NeTLIMS thrives on delivering accurate results in the fastest time possible so that providers, medical staff, and laboratories can improve their work processes in the delivery of patient care. NeTLIMS’ LIS has more than 50,000 active users across a range of specialties and hundreds of hospitals and commercial laboratories around the world. It is both FDA-certified and compatible with universal laboratory standards. Hematology, chemistry, endocrinology, microbiology, genetics, and biochemistry laboratories looking for a flexible, full-featured platform from which to optimize their workflows and gain an edge on their competition turn to NeTLIMS. The system is also ideal for anatomic pathology laboratories, including histology and cytopathology specialties. Combined with NeTLIMS’ LabWay mobile app, the LIS supports service providers of all sizes in leveraging the power of data at the point-of-care. NeTLIMS’ LIS also helps service providers gain an overview of operations and workflows, digital communications, and automation. This enables healthcare providers to emphasize value-based care and ensure the patient-care experience involves reduced waiting, reduced stress, and improved outcomes. This creates a new revenue stream and provides revenue enhancements for labs. As value-based care shapes the landscape of the American healthcare system, laboratories will continue to find exceptional value in NeTLIMS’ products. As a proven growth engine, the NeTLIMS highly customizable LIS solution is safe, stable, easy to scale, and cost-effective. A complete audit trail provides peace of mind for laboratories, while telecommunications tools, reduced human errors, and greater engagement provide peace of mind for patients and practices ordering services. With thousands of surgeries performed annually, and given that readmission reduction rates are a CMS measurement parameter on which hospitals are judged and rated, NeTLIMS’ LabOS and LabWay mobile app provide a methodology to accurately and comprehensively monitor and measure patients’ progress while they recuperate comfortably in their homes. Point-of-care telemedicine via mobile device has fundamentally changed the healthcare industry. Today’s modern mobile health devices feature software applications (apps) designed to remotely treat chronic conditions by helping modify patient behavior, as well as monitoring drug intake and physical condition biomarkers. These devices are dubbed “Digital Therapeutics,” and they present opportunities for anatomic pathology groups and clinical laboratories to comply with the Merit-based Incentive Payment System (MIPS) by demonstrating Clinical Practice Improvement Activities. 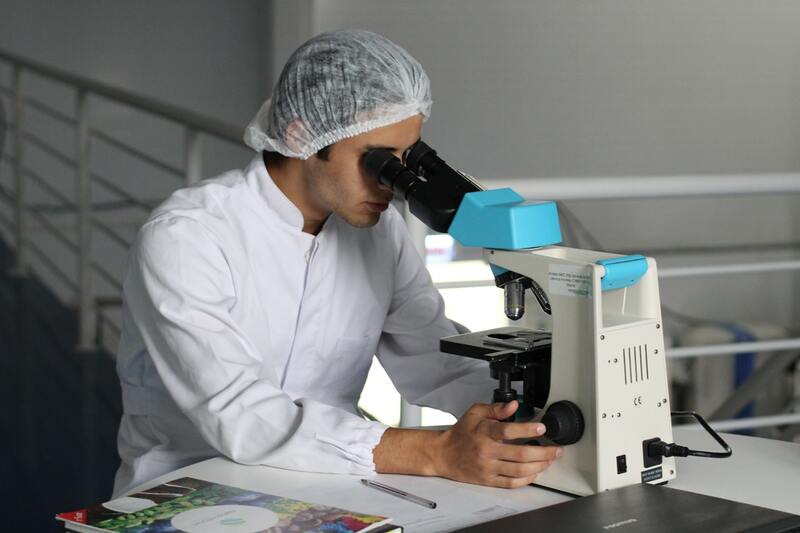 One benefit the NeTLIMS LabOS LIS / LabWay brings to pathology laboratory stakeholders, as well as patients, is access to a cloud-based electronic health record (EHR) that exists outside of a single organization in a HIPAA compliant manner. A patient’s personal health history does not have to be tied to just one organization; it can be tied to many. Medicare’s quality standards involving meaningful use require EHR interoperability that enables them to connect to disparate software systems. The theory is that combined metrics of Participant Engagement, Therapeutic Interventions, and Digital Therapeutics create a higher value of “meaningful use,” which is part of the MIPS QPP scoring system. It can be argued that “meaningful use” is what any EHR must provide, however dynamic health records are far superior to static ones for outcomes and measures. To support this, recent findings indicate significant benefits to hospital telehealth programs, as evidenced by a large reduction in the number of hospitalizations, length of average hospital stays, and, to a lesser extent, the number of emergency room visits. In terms of the financial analysis, the telehealth program results in significant savings. Telehealth intervention also is associated with improved outcomes among chronic patients. With mobile devices now being used to monitor patients’ adherence to therapy, including prescription drugs, there will be a need for clinical laboratory tests that work in harmony with these apps. The NeTLIMS LabOS LIS system provides real-time human measurements of patients through our cloud-based monitoring platform. Patients’ biometrics and lab diagnostics are transmitted through a noninvasive wearable device. One such software solution that integrates with the NeTLIMS LabOS LIS is the Care Trek system. Care Trek is licensed and distributed by Core Care Technologies, Inc. Care Trek is an advanced cloud-based, mobile device friendly application with disease management care coordination technology built in. The program was designed by experienced clinicians and healthcare professionals for hospitals, physicians, accountable care organizations, fitness and wellness centers, nursing homes, insurance home medical company case managers, equipment providers, and patients. Care Trek also has an online portal that allows patients secure access to their personal health records, messaging, scheduling, and virtual consults. It can also communicate and integrate with point-of-care telehealth solutions such as V-Patch, which is a prescribed digital medicine solution. V-Patch is a cardiac arrhythmia detection system, with an FDA-approved wireless three-lead ECG used to monitor vital signs in a completely noninvasive manner. The unique feature of the system is the “on board” analysis of every heartbeat and the transmission of only “beats of interest”. V-Patch uses encryption technology software from the world’s first produced Public Access Defibrillation machines. They established a reputation for excellence in biosensor development having worked extensively with NASA. The patch is a multi-patented disposable patch loaded with biosensors and applied to the chest near the heart for the collection of data on a variety of vital signs including 3-channel ECG. V-Patch uses Internet Protocol over a cellular link to monitor patient vitals and automatically transmits the data in a HIPAA compliant manner to the Care Trek cloud-based remote patient-monitoring system. Physicians using Care Trek can continuously receive patient data and lab results via Care Trek’s dashboard display. The system also will send patient medical alerts of any status changes to the case manager, and monitor and report on any trends signaling possible exacerbation. The practitioner can customize the trigger points for alerts and dashboard notifications. Patients can be placed into PODS (Patient Outcomes Data Sets) for patient management and outcomes reporting. The combination of risk stratification, biometrics, diagnostic labs, and medication adherence provide a dynamic and meaningful healthcare record. The Care Trek telehealth solution provides customized point-of-care testing technology that monitors and reports expertise without the costs associated with the maintenance and support of a traditional electronic health record. And Care Trek’s cloud-based design means it’s easy to scale. Thanks to advances in laboratory information management systems, remote patient digital therapeutics, and cloud-based technology, healthcare providers now have unprecedented opportunities to better manage the health of patients with chronic conditions. Furthermore, the telehealth technology used to deploy remote care management also works to reduce costs by engaging and educating patients, promoting adherence to treatments, and intervening early when necessary to keep readmissions at a minimum. By integrating NeTLIMS’ cloud-based Laboratory Information Management System with Core Care Technologies’ Care Trek telehealth solutions, you will potentially experience significantly reduced hospital readmission rates and favorable parameters reported to CMS. This can help bridge the gap between labs, physicians, and other healthcare providers they serve to positively affect patient outcomes, facilitate reporting of quality measures, and maximize reimbursement for all services on specific patient care teams. In addition, it can help you achieve better efficiency, economics, and compliance with MACRA. Since the introduction of pay-for-performance reimbursement (and in keeping with the lab industry’s recognized need to become more patient-centric), the holy grail of lab quality has become the clear demonstration of the laboratory’s direct, positive effect on patient outcomes. NeTLIMS is a leading global provider of Laboratory Information Systems (LIS) to hundreds of hospitals and commercial laboratories worldwide. NeTLIMS’ LabOS and LabWay Mobile App are a unique and complete LIS solution that integrates all of your laboratory departments, including Clinical Pathology, Microbiology, Anatomic Pathology, and Genetics into a single database. 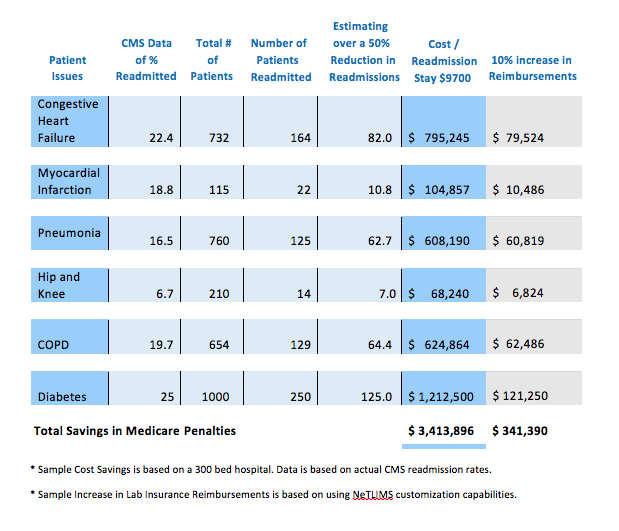 Another benefit is that NeTLIMS positively impacts revenue by integrating with point-of-care telehealth solutions to enhance patient outcomes and ensure compliance with MACRA / MIPS. A comprehensive product suite based on a single set of catalogs and rules drives the entire process from result review and order entry at the clinic, through the lab’s internal processes and client services, all the way back to result delivery and billing. NeTLIMS provides its clients concierge level service and delivers any custom development at an unprecedented industry turnaround time. After the installation is complete, customers enjoy continuous 24×7 support and incredibly fast turnaround times. NeTLIMS customers include Quest Diagnostics, LabCorp, Hospitals, and HMOs. All rights reserved. No part of this report may be reproduced or transmitted in any form or by any means, electronic or mechanical, including photocopying, recording, faxing, emailing, posting online, or by any information storage and retrieval system, without written permission from NeTLIMS. All trademarks and brands referred to herein are the property of their respective owners. While all attempts have been made to verify information provided in this publication, NeTLIMS does not assume any responsibility for error, omissions, or contrary interpretations of the subject matter contained herein. The purchaser or reader of this publication assumes responsibility for the use of these materials and information. Adherence to all applicable laws and regulations, both federal and state and local, governing professional licensing, business practice, advertising, and all other aspects of doing business in the United States or any other jurisdiction, is the sole responsibility of the purchaser or reader. NeTLIMS assumes no responsibility or liability whatsoever on behalf of any purchaser or reader of these materials. Any perceived slights of specific people or organizations are unintentional.